Born in rural Virginia in 1920, Henrietta Lacks was an African-American woman who was diagnosed and died of aggressive cervical cancer at the youthful age of 31. Without consent from Henrietta and her family, doctors at John Hopkins Hospital in Baltimore collected her cancer cells, which were discovered to be immortal. Widely known as the HeLa cell line, Henrietta’s cells have revolutionized modern medical science, and are considered to be invaluable. For more than 50 years, labs have experimented with the HeLa cell line, as they have been the source for countless medical progressions and treatments for debilitating diseases—yet, controversially, Lacks’ family remained unaware (and unpaid) about the HeLa cells and that they were being utilized to transform medical science. 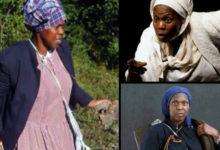 It wasn’t until 2010 that Henrietta’s full legacy was brought to the public’s eye. 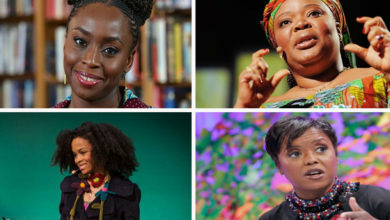 Science writer and researcher Rebecca Skloot wrote the best-selling book The Immortal Life of Henrietta Lacks in order to bring attention to Henrietta’s story, HeLa cells, and the ethical issues surrounding race and class in medical research. 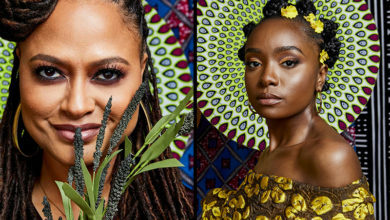 Last year, HBO adapted Skloot’s book into a film under the same name, starring Oprah Winfrey and Renée Elise Goldsberry. 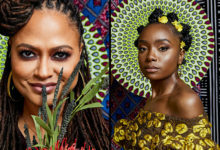 Now, in portrait form, the mother of modern medicine will be recognized and honored at both the Smithsonian’s National Portrait Gallery (NPR) and the National Museum of African American History and Culture. 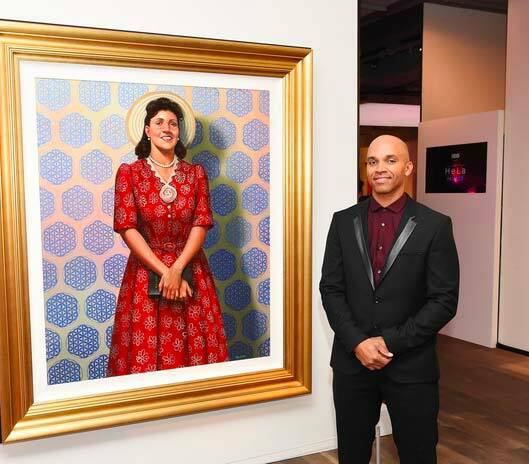 Los Angeles-based artist Kadir Nelson painted the notable portrait of Henrietta Lacks, which was commissioned by HBO for the 2017 film. 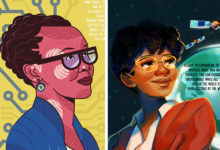 Nelson’s illustrative work centers on African-American culture, and he has previously created high-profile portraits honoring significant leaders such as Martin Luther King, Jr., Shirley Chisolm, and Nelson Mandela. In a recent Instagram post by Nelson, he highlighted other symbolic features within the portrait, such as Henrietta’s bright yellow hat, which is particularly placed so that it functions as a halo, and her pearl necklace, which serves as a symbol of the cancer that took her life. Lastly, the missing buttons on the dress are a reference to the cells that were taken without her consent. 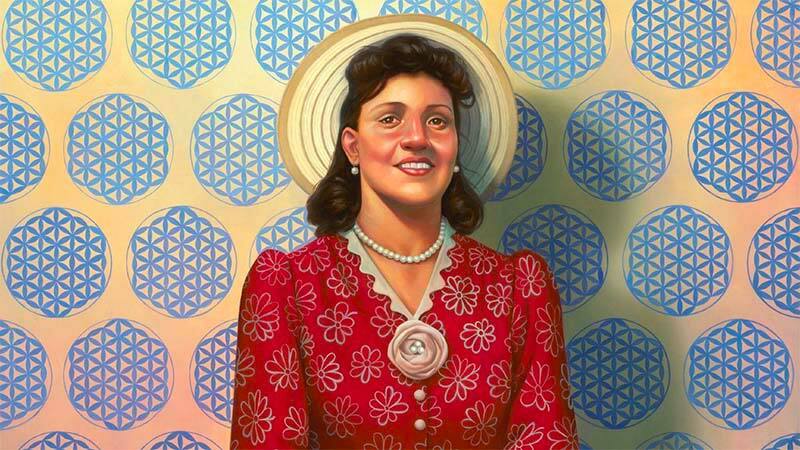 The profound portrait of Henrietta Lacks is a gift from Kadir Nelson and JKBN Group LLC, and will be on display at two Smithsonian museums from May 15 to November 4. 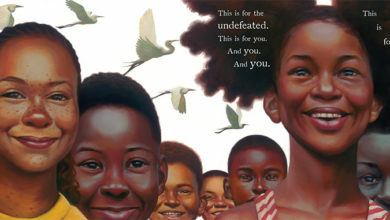 For more information, please visit the Smithsonian’s website.